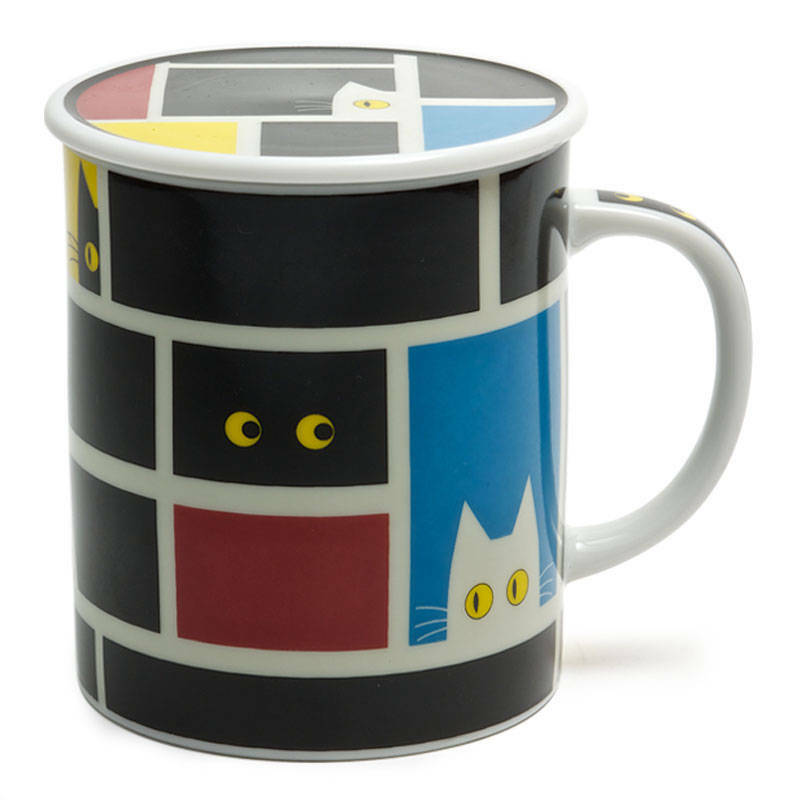 Black Cubist Cat Lidded Mug. Another whimsical design mug from our friends at Jewel Japan! This animal themed mug truly brings fun to life. Mug: 4.25" x 3" x 3.5"h; 8 oz. capacity. Lid: 3.25" diameter x 0.4"h.